Upholstery cleaning in Walnut Creek, CA is done to the furniture with covers from fabric or leather which requires care. It is easy for upholstery furniture to get to wet while cleaning requiring one to consider using services from professionals. We offer upholstery cleaning that is meant to provide a fast stain removal without having to destroy the furniture. The efficient removal of stains makes it possible for one to use the furniture for a long time. The cleaning detergents used in the process are meant to protect the microfiber in the furniture for proper service delivery to the clients. A quick scrub of upholstery furniture reduces the life of the product due to the removal of the leather or fabrics used to cover the furniture. We use cleaning machines that will remove dirt from upholstery furniture without having to scrub them for increased life of the furniture. The upholstery cleaning in Walnut Creek, CA is needed to reduce the number of germs and other harmful products in the fabric furniture. Accidental spillage of liquid to upholstery furniture leads to stains which are removed by professional cleaners. It is hard to handle the permanent dirt from spillage by using normal cleaning in the house. The extraction method is used by our cleaning specialist to deal with the dirt and debris available in the upholstery furniture. The brushing and cleaning process of upholstery furniture provide a beautiful appearance to the client. Furniture is used by the homeowners and other people in the house for a long time requiring having a cleaning plan that will make them appear bright. 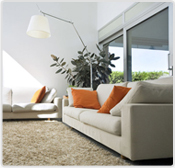 Our upholstery cleaning improves the appearance of the furniture by eliminating all the dirt. It increases the durability of upholstery furniture by removing the allergic dirt and bad smell from the furniture. A homeowner should consider our upholstery cleaning services as a measure of caring for your furniture.